For the Royal wedding we got an extra day off. Nice. What to do? Bake some cakes and have afternoon tea. 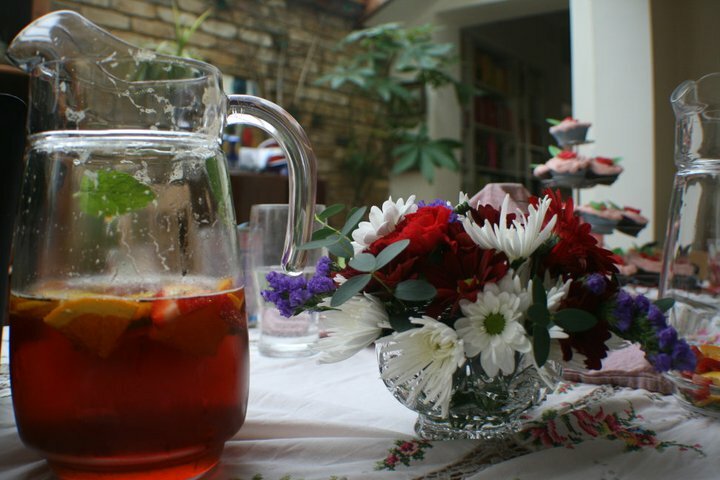 Strangely there wasn’t any tea, just lots of Pims. Cakes were chocolate cupcakes, with a strawberry butter cream icing. 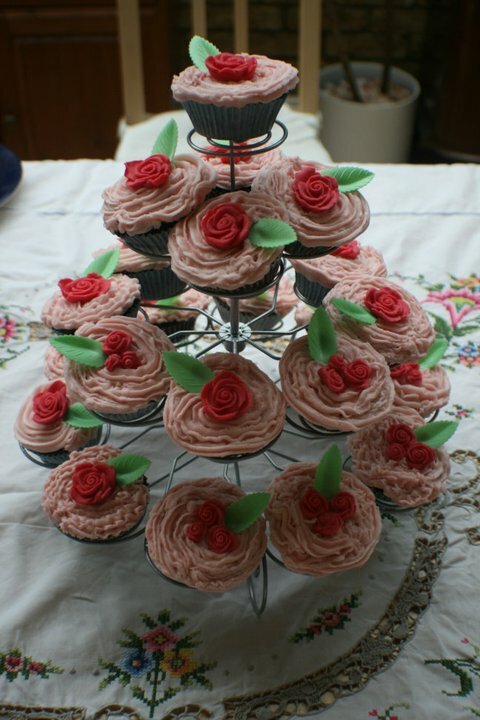 The flowers were fondant, pressed using a mould. Leaves were store-bought wafer. They were served with sandwiches: egg and cress, ham and mustard, coronation chicken.